Better late than never they say. So with apologies to Dan Anghel for the tardyness here's the BIG news! Yep, I know. Totally shocked! Well not necessarily _in_ Cluj. 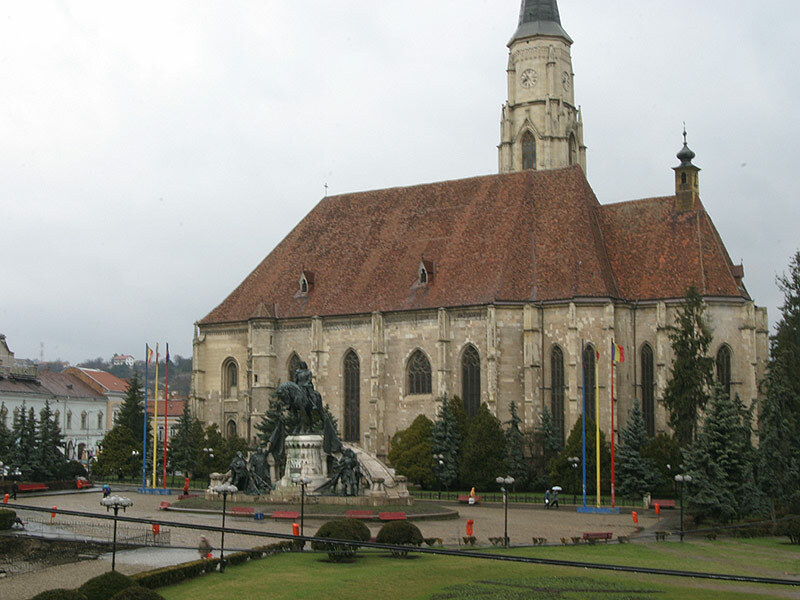 But all over the world there are people from Cluj and they are proud to tell everyone this fact. Check the brand new blogrolls initiated by Dan: one peoplefeeds and the other on SuprGlu. At the moment we haven't decided yet on which service to stay with but the voting is on at Dan's and if you are interested in claiming your spot in the blogroll and casting your vote write him asap. And speaking of mergers and outsourcing in Romania. I was just browsing (to read - actually turning paper pages) the Romanian "Business Magazin"(8/2006). Now these guys really try when it comes to writing about web stuff. But they rarely get it right (ex: "Web20 - a new technology for developing web sites"). The thing they're good tough is biz stuff so I'll get back on the track. So they have an interesting story on the intentions Adobe has in establishing an R&D center in Bucharest. And as the trend goes they will buy a ready made company just to grab the great team already working there. The article points to Interakt as this company and the price is said to be somewhere between 10 an 20 mil. Nice break for Interakt. Not that they would desperately need this acquisition as they have a strong customer base for their DreamWeaver extensions and other web dev widgets. But it also seems natural as they were Macromedia partners. Honestly I didn't know much about Interakt until a short while ago. They totally missed the Flash Platform bandwagon and probably that's why. But when I needed a good Eclipse plugin for writing JS their JSEclipse product was the first recommended by everyone. So yes, they're cool in my book. And I'm happy that Adobe looks towards us. Even rumors about it make me happy. Who knows, maybe we'll even have some AUGs (formerly MMUGs) popping up. The guys from Nectarine did it again. I really don't know aussies that well but this bunch is uber funny. Not to mention uber talented at voices and animations. Without further blah I recommend you watch the new intro animations for WebD[own]U[nder]. Lately I've bee stretching more and more my js skills in order to to all sorts of ahmm, Ajax stuff. I started doing it the old way IE Mac and old NS browser compat. That until I realized that my brain can't handle it and that browser compatibility is way easier to achieve if you ignore that 1% of the surfers that forgot to update and focus on those Modern Browsers. Things like $, $A, bind, PeriodicalExecuter, Ajax.Request, Event.observe, Position.clone are cool indeed and they solve much of the js quirks you have to figure out on your own. You don't even have to grip on what's going on under the hood to get the job done. Eventually you will tough. A good start would be the "Developer Notes for prototype.js" article written by Sergio Pereira. Another good js library would be the "Yahoo! User Interface Library" that was released as OS a short while ago. This one solves more precise ui building problems as it offers some ready made widgets. These two don't follow the same guidelines but you can use them together without problems. The "ActionScript 3 Language Specification" was just released on LiveDocs. I also wonder how those folks that have yet to get comfortable with the classes in as2 will feel when they realize that they have to buy their first Java book because they'll lose their grip otherwise. I know how I feel. It's the same dizziness that got me when I first looked at those as2 examples. Tough now it doesn't seem that weird. Just subscribing to the same hope that all the non programmers that made ActionScript into a programming language will stick to it after this bombshell. And yes, you will have to install FlexBuilder 2 from the labs to play with this new toy. If you want to know what I can do for your business check my website. Mobile flash is dead. The future is mobile!